According to a press release from Cobb Acting District Attorney John Melvin, Tashia Lenette Woods, 34, of Tennessee was given a 20-year sentence after pleading guilty to a variety of charges related to the shooting of a child by another child when a loaded gun was left within their reach. The charges included cruelty to children. Woods will serve twelve years in prison and the rest on probation. The sentence was handed down by Cobb County Superior Court Judge Ann Harris. The defendant was represented by Marietta attorney Patricia Abbott. The incident happened at the Comfort Inn & Suites near SunTrust Park on Memorial Day weekend in 2018 when Woods was in Cobb with a group of children and adults for a visit to Six Flags. About 11:30 a.m. on May 28, 2018, Tashia Lenette Woods left the motel room she was sharing with other members of the group and went outside to the large trash bins, looking for marijuana she had mistakenly thrown away the night before. While she was outside, her five-year-old nephew found the loaded gun in Woods’ bag and fired a round that struck a three-year-old boy in the face. The bullet went through the victim’s cheeks, blasting out several teeth but fortunately not hitting his brain. As the victim was screaming and crying, others in the group tried to help him, whereas Woods calmly returned to the room and retrieved the gun, then tried to hide it – first in a trash can, then in a hidden compartment of a vehicle. Woods and the victim’s father then drove the child away from the hotel. No one in the group called 911, but a hotel employee did, and described the vehicle and tag number. Cobb Police – some of whom were working the Braves game happening nearby – rushed to the scene and then conducted a traffic stop on the vehicle. The child was transported to Children’s Healthcare of Atlanta while the adults were taken for interviews by police. Woods denied ownership or knowledge of the gun, which had been stolen in a gun store burglary months earlier. Security video showed Woods apparently ignoring the child and attempting to hide the gun. Woods was a convicted felon in Tennessee, for selling cocaine in a school zone, and should not have legally been in possession of a handgun. The child’s mother said that her child is doing well, but has speech problems and nightmares as a result of the shooting. On Thursday Woods pleaded guilty to cruelty to children in the second degree, possession of a firearm during commission of a felony, theft by receiving stolen property, two counts of tampering with evidence, reckless conduct, and possession of a firearm by a convicted felon. 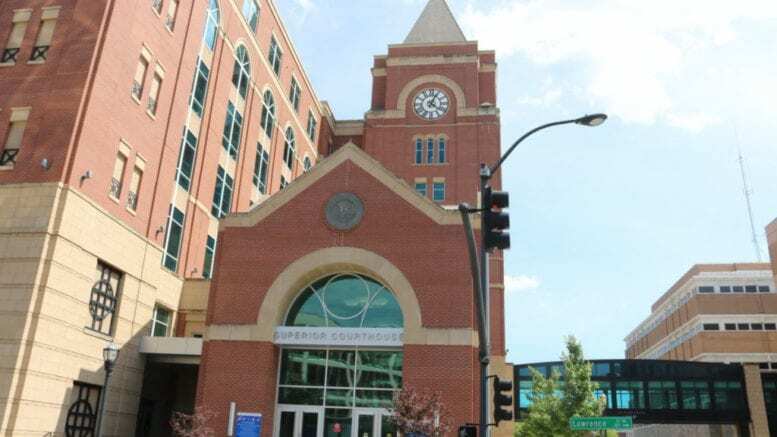 Be the first to comment on "Cobb judge sentences woman to twenty years for cruelty to children"